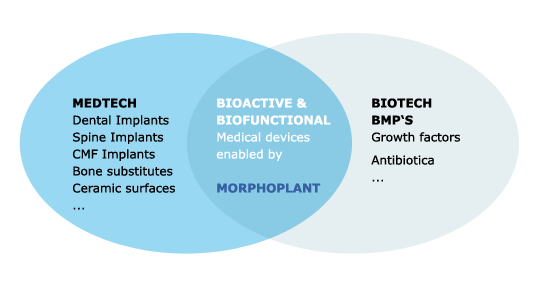 Our successful business model includes 3 phases: phase I is characterized by research collaborations with academic partners aiming at the identification of highly valuable targets and translation of these findings into patents allowing for the commercialization of this technique and therefore constituting a key point in the value chain. In phase II we engage in industrial collaborations with companies seeking to improve products and looking for innovation. These phase yields readily marketable products which will be licensed to our market partners in phase III. In addition Morphoplant may offer services like quality control and constant improvement of products.